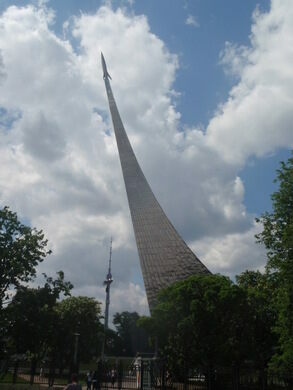 Looking at the towering monument, you’d be forgiven for thinking that the space race is still very much alive. 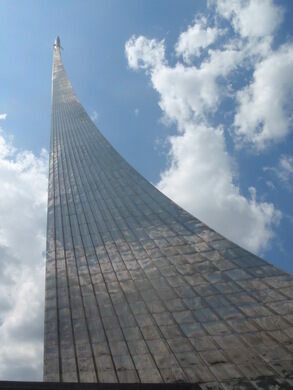 Rising on a 350-foot high plume of smoke and condensation, the Monument to the Conquerors of Space commemorates Yuri Gagarin’s 1961 orbit of earth and the Soviet Union’s preeminence in outer space. 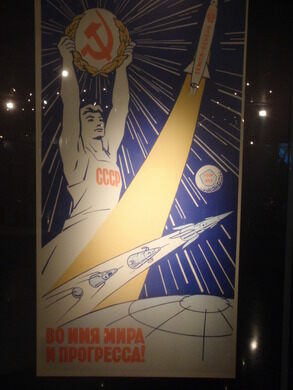 Three years before Gagarin ever began orbit, plans for the monument were already in progress. 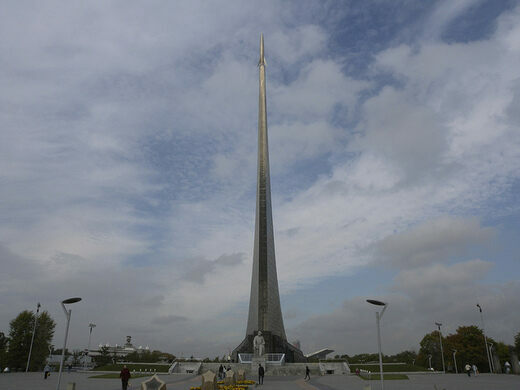 As evidence of the importance of showmanship in the space race, the Soviet Union planned to erect an obelisk commemorating their space dominance just months after Sputnik launched. After sifting through hundreds of proposals, they chose the massive obelisk, and construction on the titanium pillar was completed in 1964. Blasting into the sky and capped with a rocket, the monument towers over stone reliefs of scientists and cosmonauts working to improve the Soviet space program. 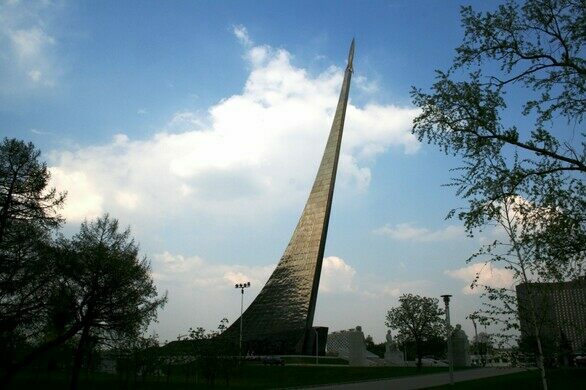 Along with the monument, the site is also home to the Memorial Museum of Cosmonautics, an interactive museum chronicling Russia’s journey into the unknown.